First and foremost meditation is about paying attention. Everything in meditation is about your attention and the quality of your attention. 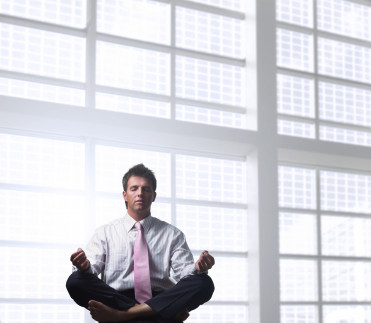 In formal sitting practice you are learning how- you are "practicing being" with what is. You are cultivating your Presence. Presence is simply the ability to be with what is, to be with whatever is in your experience at this moment. Garnering presence is about gently cultivating a skill, the skill to be with what arises internally, without resistance. Presence is the key to meditation experience and furthermore- life experience. What actually causes unbearable stress, pain, suffering, and sometimes mental illness is our avoidance of whatever is arising internally: the repeated avoidance of your own internal experience will create problems. Staying with the present moment, especially negative emotions, is counterintuitive. We have to reprogram ourselves to STAY. This is why formal meditation practice helps. When you learn to stay with what you're running from internally- it's incredibly freeing. It builds confidence and you simply feel more in control of your life. You stop trying to escape yourself and then a whole new world begins to open in front of you...and it's truly beautiful. In formal meditation practice we refuse to leave our present experience. We don't run away, we don't numb out, we don't leave. We simply STAY with the present moment, with this breath, with this sensation. That is the practice. We pay attention on purpose, compassionately, to what we are experiencing right now. 1. Take an introductory meditation course like this one: "The Mindful Lunch"
Holiday Stress - How to get out of the "Mind Spin"